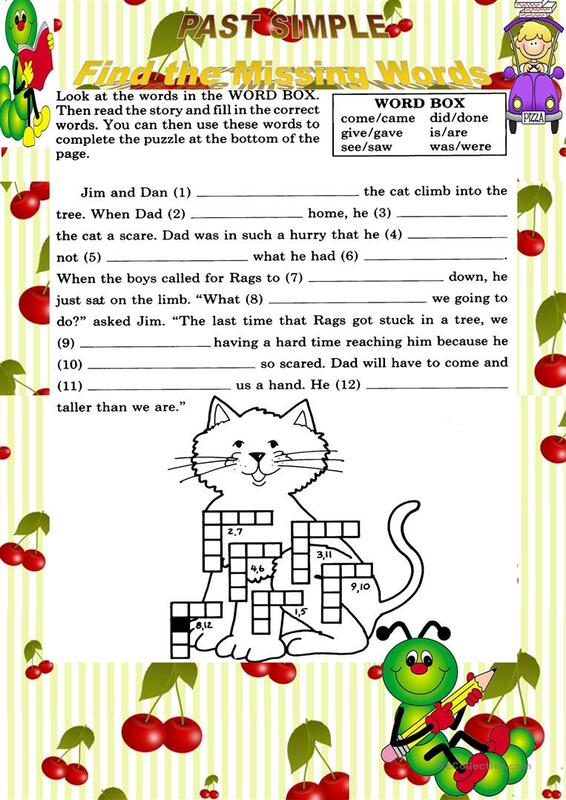 Students have to find the missing words then to complete the puzzle at the bottom of the page. The above downloadable worksheet is recommended for high school students, elementary school students and adults at Beginner (pre-A1), Elementary (A1) and Pre-intermediate (A2) level. It is valuable for teaching Past simple tense in English, and can be used for improving your students' Spelling, Reading and Writing skills. emsalwa is from/lives in Jordan and has been a member of iSLCollective since 2011-05-26 21:36:20. emsalwa last logged in on 2019-01-29 15:25:28, and has shared 14 resources on iSLCollective so far.